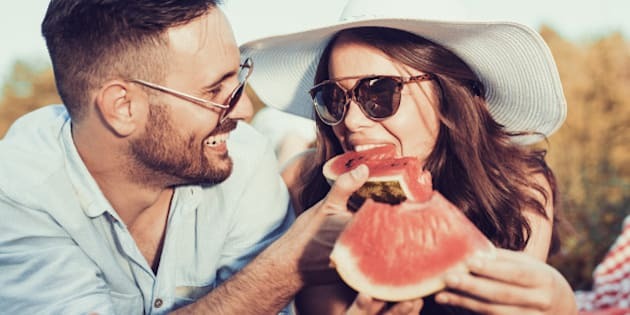 Young couple on a picnic together bite a one piece of watermelon. One of the short-term motivations to contribute to an RRSP is to lower your annual income tax. With a Fonds de solidarité FTQ RRSP, you get even more savings. What is not to like about that? The process is made easier when you set up automatic deductions from your paycheque at the frequency you prefer. When the amount is deducted at source, you will benefit from additional tax savings on each paycheque. The Fonds de solidarité FTQ calculator is a tool that will give you a clear picture of the possible scenarios according to your taxable income and desired annual contribution. Once this financial habit is part of your lifestyle, each spring will be that much more enjoyable. In fact, investing in an FTQ RRSP is the best decision you can make to save more quickly without compromising your quality of life. In other words, contributing regularly to an RRSP is not only a good way to save up to buy a home, but also a great way to get more from your income tax return. *This example corresponds to a person with a 37.1 percent income tax rate.